In its F8 Developer Conference in April 2016, Facebook introduced the ‘Chat Bots’-which the developers can build into Facebook Messenger via an AI (artificial intelligence). 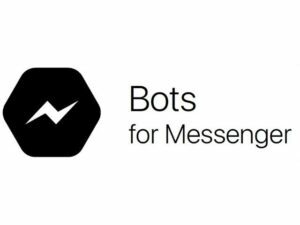 Theoretically, these messenger bots will allow any user to interact with a brand/business/company or service over Facebook Messenger in a way as if they are conversing with a human being. Let’s take a look at the overall concept of these chat bots. What is a Messenger Chat Bot? A “Bot” is a generalized term used to describe any software that automates a task. A chat bot is an AI (Artificial Intelligence) program designed to respond and interact with the user like a live customer service agent. These Chat bots, which are built on Facebook Messenger, are created using Facebook’s Wit.ai Bot Engine. What’s so special about it? Well, the Wit.ai Bot engine can turn natural language into structured data. In other words, the bots can not only parse and understand conversational language but they also learn from it i.e. your bot gets “smarter” and intelligent with each interactionJ. By opening up the Messenger Platform and providing developer tools like the bot engine, Facebook surely has made building an intelligent bot easier. In June, Facebook also released new features to chat bots on its Messenger app – to compete for audience and to accommodate bots. 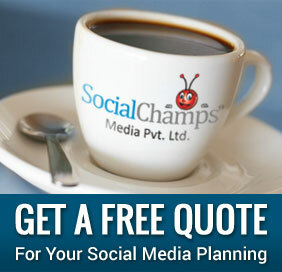 With over 900 million users, Facebook Messenger is undoubtedly one of the most-used chat apps on the planet. Sending videos, audio clips, GIFs, and other files. Improved user navigation with a permanent menu of five options. A structured user experience instead of plain text by allowing up to 10 buttons to respond to a message. These buttons pop up at the bottom of the screen in line with previously chosen options. A secure protocol allowing businesses to connect customer and messenger accounts. Bots will gather information for the eventual interaction with a human representative, understanding exactly what happened and what the customer is looking for. It is empowered to solve basic issues, automatically. With time, these AI bots will get smarter, and brands will trust them more for issue resolution. For example, imagine a cable company scheduling an appointment in 30 seconds via a chat as compared to 10-20 minutes on the phone. Bots are capable enough to handle scenarios automatically that truly require a human touch. No installing the apps. 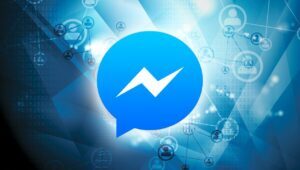 For brands/companies/services one rarely uses, messenger bot is a better solution wherein one does not have to download the app and waste their time and bandwidth. It is similar getting an answer to a query and deleting the app. Should Businesses/Marketers Build a Bot? Is there a clear use case: There were many businesses which thought the mobile app is just an extension of their website. How being on mobile will change the interaction with the customers was not well thought of. As a result such apps just sit across unused. If you are planning to build a bot, think from the customer’s standpoint and not from a company standpoint. Do you have potential audience on Facebook: Even if your target audience is not using facebook for business, look for the potential audience who may be using facebook for personal use and may adopt Messenger easily as a communication tool? If you have already thought through the above questions and think you are good to go and build a Facebook Messenger bot, dive in. As a newly opened platform, Facebook Messenger does need thoughtful and strategic companies to shape it.